The 733 Series is a three-door commuter-type electric multiple unit developed by JR Hokkaido to deal with increased ridership in the Sapporo Area. In 2010, JR Hokkaido created the experimental aluminum-bodied 735 Series, which was based on the preceding 731 Series, and conducted tests for two years. 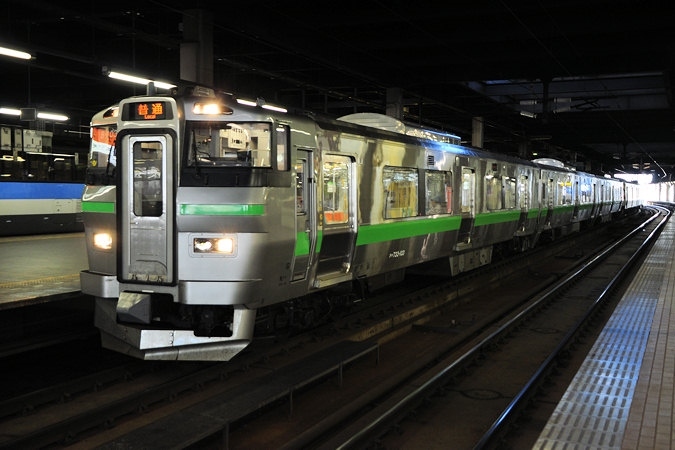 In 2012, JR Hokkaido decided that they would need more long term data on aluminum car bodies and decided to produce a stainless steel-bodied train to supplant the already existing fleet of 731 Series trains. The new train was named the 733 Series. The 733 Series shares much of its design with the 731 Series and retains the regular steel crumple zone. All side doors are single-doors and side windows in the passenger compartments are all fixed to help deal with the cold climate of Hokkaido. 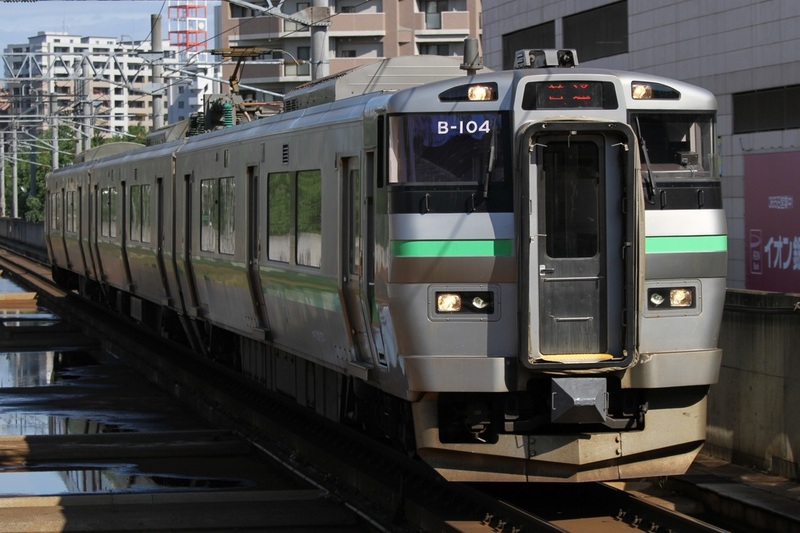 733 Series trains are not designed to operate with KiHa 201 Series trains. Like the 735 and 731 Series, the 733 Series has only one motorized car per three car formation. Traction motors are forced-air cooled and have specialized snow separation compartments to prevent snow from entering the fans. Overall appearance is very similar to the 731 and 735 Series, but can be distinguished by its light green stripe.